What constitutes a “good” school, and for whom? Who is included in the vision of education as the great equalizer, and who is left out? Cinema 53’s “Race and American Schools” series explores the central role that race has played in the experience of schooling in America with a trio of documentaries and discussions. Curated by Eve L. Ewing, assistant professor at the University of Chicago School of Social Service Administration and author of Ghosts in the Schoolyard: Racism and School Closings on Chicago’s South Side, the winter series brings together a researcher, a teacher, and a filmmaker to unpack the sordid story of race and education, and imagine the future of American schooling. 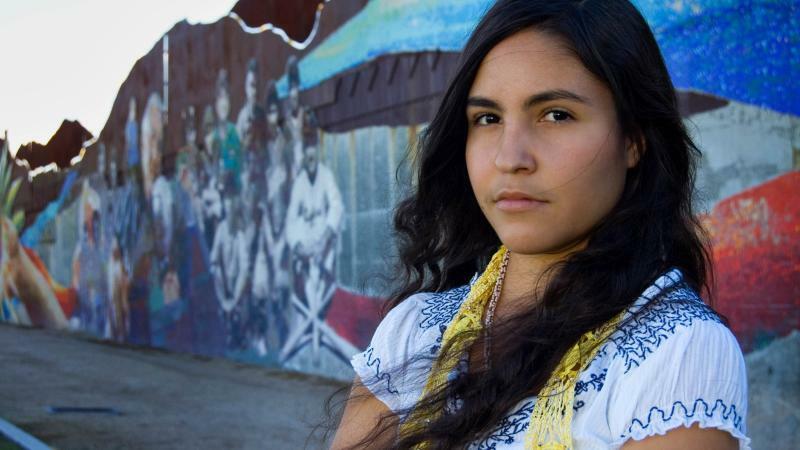 Tonight, Ewing hosts a screening of Precious Knowledge (Ari Luis Palos and Eren Isabel McGinnis, 2012, 75 min), which follows what happened when Arizona lawmakers passed a bill giving unilateral power to the State Superintendent to abolish ethnic studies classes, and teachers and student leaders fought to save the program using texts, Facebook, optimism, and a megaphone. As the nation focuses on a wave of anti-immigration legislation, the issue of ethnic chauvinism becomes a double-edged weapon. Film followed by conversation with Ray Salazar, Board Certified CPS teacher and award-winning ed writer. Admission is free and open to the public. Seating is first-come, first-seated. Doors open at 6:45pm. Since 1995, Ray Salazar has been an English teacher in the Chicago Public Schools. In 2017, thanks to a former student, Ray received a Distinguished Secondary Teacher Award from Northwestern University. In March 2013, his blog The White Rhino tied for second place in the Best Blog category of the Education Writers Association's national writing contest. Ray earned an M.A. in Writing, with distinction, from DePaul University and received National Board Certification. His writing aired on National Public Radio and Chicago Public Radio many times. His editorials appeared in the Chicago Tribune and on CNN's Schools of Thought blog, as well as on the National Board for Professional Teaching Standards' website. He's also written articles for NPR's Latino USA, Latino Rebels, and NewsTaco. For thirty years, Ray lived in Chicago's 26th Street neighborhood. Today, he lives a little more south and a little more west in the city. Dr. Eve L. Ewing is a sociologist of education and a writer from Chicago. She is the author of Ghosts in the Schoolyard: Racism and School Closings on Chicago's South Side. She is also author of Electric Arches, which received awards from the American Library Association and the Poetry Society of America and was named one of the year's best books by NPR and the Chicago Tribune. She is the co-author (with Nate Marshall) of the play No Blue Memories: The Life of Gwendolyn Brooks. She also writes the Ironheart series for Marvel Comics. Ewing is an assistant professor at the University of Chicago School of Social Service Administration. Her work has been published in The New Yorker, The Atlantic, The New York Times, and many other venues.